Last year Twitter announced it was closing Vine, the short-form video creation service and app, and today marks the last day users can download and save their Vine creations. If you want to keep your short films then read on to find out how to download your Vines. Vine will continue life as a Camera app, but for existing Vines you’ll need to act fast to download and save them. You can download Vines using two different methods; either through the Vine app, or the Vine website, which will email you an archive of your Vines. Downloading your Vines via the app is the most straightforward way to save your videos, but by using the email option you’ll also save additional information such as the comments and likes for each video. To download your Vines via the Vine app, open it up then click on the ‘Save Videos’ button at the top of the app. You’ll be shown a gallery of your existing videos. Tap each video you want to download, then tap on ‘Save’. If you want to download all of your videos, tap on ‘Select all’. 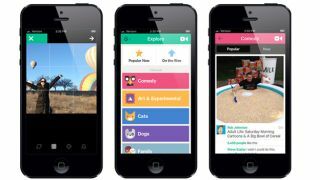 Your Vine videos will now be saved to your device in MP4 format. You can then move these videos to your PC or another device for safe keeping. Open a web browser on your laptop or desktop PC, and go to the Vine website. In the top-right corner of the website you’ll see a blue button that says ‘Download Your Vines’. Click it, then click on ‘Request Your Archive’. This will email a .zip file that contains all of your Vine videos. Depending on the number of Vines you’ve created, this may take a while, and the .zip file may be quite large. Once the file is emailed to you, you can save the .zip file to your PC and open it to view the videos. You’ll need to make sure you have a correct email address linked to your Vine account. In the settings page where you request the archive, below the button you’ll see your email. If it’s wrong, or you haven’t supplied an email yet, click on ‘set email address’.